Cheryl Holloway’s Jumpstarting Your Inner Novelist Book Review! 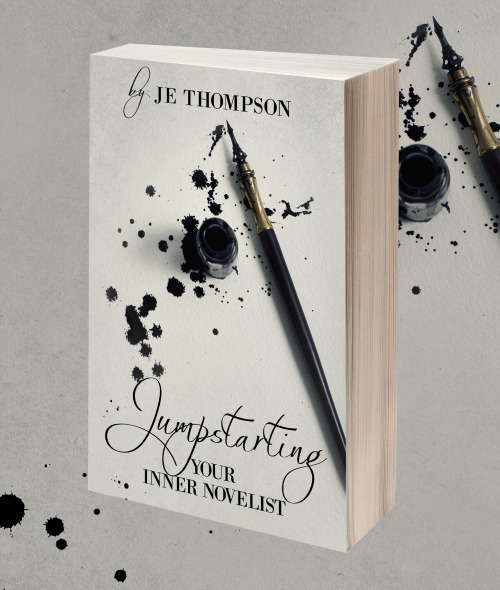 Synopsis: Jump Starting Your Inner Novelist is a concise manual that provides inspiration, motivation and practical tools for crafting award-winning novels. This is a quick and easy-to-read book of the essential tools to jump start your inner novelist. If you are like me, you have a collection of several books that discuss writing as a craft. This book is well-worth adding to your collection. Julius teaches Creative Writing and Publishing at Evening at Emory University and this book is to the point and doesn’t over teach. He provides information and motivation for the inner novelist; plus, he tells you what worked for him and provides some examples. He discusses his writing success with his books, while encouraging you to be creative and find your own writing style. Julius says, “One thing I’ve learned about the writing process is that you never stop learning.” In my opinion, that is so true for most, if not all, writers. He also discusses the importance of good grammar and a professional editor. You can even email him for a list of publishers and literary agents. Since I am a Writer/Editor myself, I had a few issues with the editing and page numbering. But…we all have our own style. I thought the front cover was great! This was a well-thought out book. I read it in one short sitting. I wish Julius J.E. Thompson much success in his writing endeavors. Please visit my Stormy Winds Website and keep up with the word count and all Pre-Publication information! Monday Memories: My ringside encounter with Mohammad Ali! Like everyone I’m saddened with the passing of this iconic sports figure. I never met the man, but I did have a ringside encounter with the greatest boxer of all time. I graduated from The City College of New York and then spent a summer as an intern with the Washington Star. I became a copyboy with The New York Times in 1970. This was the year before I became a sportswriter with the Philadelphia Bulletin. One of my jobs, as a copyboy, was to hop on the subway (The “A” Train) at Times Square and ride to 34th Street and Madison Square Garden. I would wait for The Times’ Photographers to take pictures of the New York Knicks basketball games, New York Rangers hockey games and the big heavyweight fights of the era. During that time there wasn’t internet or computer transmissions. You had to physically go to the event and return with the hand delivered film packets of photos. When I arrived at The Garden, I showed my New York Times press credentials and walked through the crowd and down the steps to the floor of the smoke-filled arena. The undercard was just finishing and now the Mohammad Ali-Oscar Bonavena heavyweight fight was on tap. This was Ali’s second fight in his 1970 comeback. His next fight would be against the heavyweight champion of the world, Joe Frazier. The fight was scheduled for 15 rounds to get Ali ready for the Frazier fight. including legendary fight promoter Don King) and sat in a chair at ringside where you see the photographers with their flash bulbs pooping. I could literally touch the boxers, but what impressed me was the physical size of the heavyweights. I could feel the reverberations of the blows as they hit each other. They were the biggest human beings I have ever seen. I could see why you had to have courage to step into a ring and fight against somebody that is big, strong, agile and athletic. Ali was quick with the hands and his feet moved in unison and created a dance that was mesmerizing. I have never seen an athlete move so gracefully on the basketball court or football field. He was dreamlike in his movement in the rink. I edged closer and watched in amazement as I peeped under the bottom rope. The Great media people of the day were at ringside. I was only a few feet from the ABC superstar: Howard Cosell. I didn’t realize he was tall and could look athletes eye to eye. He looked as grumpy as he did on television. I stayed for the first three or four rounds. The photographer gave me the film packet and I literally put it in my front pocket. Little did I know I was carrying history on my person. Now, as I look through the lens of all the years that have passed since that day December Day in 1970 and see how a fighter became a world-wide success story. Mohammad Ali, the legend, will be missed!